Explanation: Is the continent at the end of the Earth slowly melting? For millions of years, Antarctica, the frozen continent at the southern end of planet Earth, has been encased in a gigantic sheet of ice. Recently, the orbiting robotic GRACE satellite has been taking sensitive measurements of the gravity for the entire Earth, including Antarctica. Recent analysis of Gravity Recovery and Climate Experiment (GRACE) data indicate that the Antarctic ice sheet might have lost enough mass to cause the worlds' oceans to rise about 1.2 millimeters, on the average, from between 2002 and 2005. Although this may not seem like much, the equivalent amount of water is about 150 trillion liters, equivalent to the amount of water used by US residents in three months. Uncertainties in the measurement make the mass loss uncertain by about 80 trillion liters. 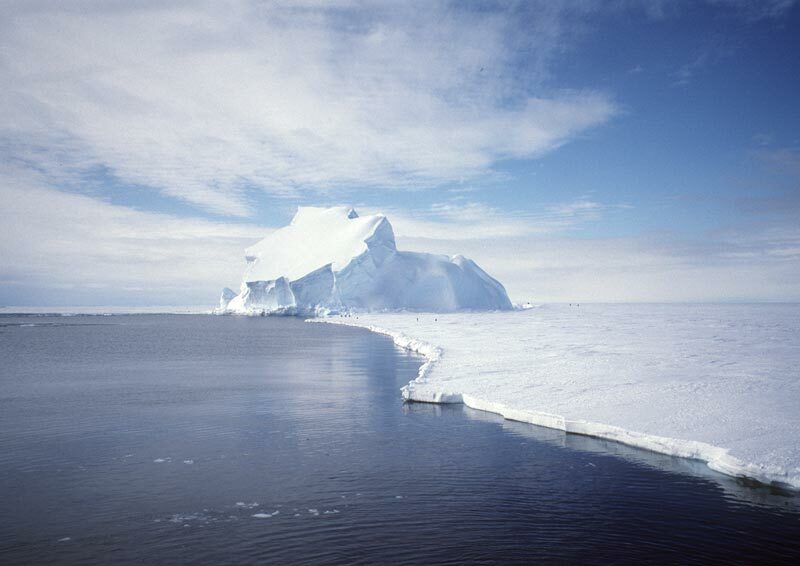 Pictured above is an iceberg that is a small part of the Antarctic ice sheet. The picture was taken on the Riiser-Larsen ice shelf in December 1995. Future research will likely focus on trying to better understand the data, take more data, predict future trends, and understand possible effects of these trends on the future climate of our entire home planet.